Note: This release was updated on July 23, 2o18. 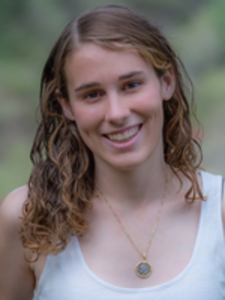 WILLIAMSTOWN, Mass., June 1, 2018—Williams College senior Francesca Paris has been awarded the Jeffrey Owen Jones ’66 Fellowship in Journalism. The $10,000 grant is intended to assist a graduating senior in starting a career in journalism, whether in traditional or new media. The Jones Fellowship was established in 2009 to honor Jones, who passed away from lung cancer in 2007. Jones was an Emmy-award winning writer, producer, and film professor at Rochester Institute of Technology. While a student at Williams, Jones was editor of the school newspaper, The Williams Record. Paris, a double major in statistics and Arabic studies from Oakland, Calif., plans to use her fellowship to pursue a master’s degree in data journalism at Columbia University. There she will apply her B.A. in statistics by incorporating data analysis into news reporting and storytelling. In particular, she plans to study and report on homelessness in New York, producing a series that uses data, as well as audio and visual components, to situate personal narratives of homelessness in a broader context. “After studying math and statistics for four years at Williams, I believe I am in a position to contribute to the growing intersection of statistics and journalism, including creating resources for other journalists with less experience in data analysis,” said Paris. During summers as an undergraduate, Paris worked as an intern at news organizations such as WNYC in New York City, KERA in Dallas, Texas, and Berkeleyside in Berkeley, Calif., where she developed a wide range of journalism skills, including conducting pre-interviews, booking guests, editing scripts, and pitching story ideas. Last summer, she was an intern at the NPR program, The Takeaway. As a student at Williams, Paris served in multiple roles at the student newspaper, The Williams Record, including production assistant, news editor, executive editor, and communications director. Her work has been awarded numerous prizes; most recently, the winner of the Association for Women in Mathematics’ 2018 essay contest and the Lawrence Levien Fellowship in Journalism in 2017.